Clients trust their lawyers to abide by their ethical responsibility to represent them with integrity, competence and skill. A breach of this good faith duty may constitute legal malpractice. A legal malpractice claim arises from an attorney’s negligence in an underlying claim, which in turn causes the injured party to lose a case or the case value to greatly diminish. The client is often left to cope with a triple harm including: harm from the initial injury that provoked the civil suit, harm caused by the loss of any financial compensation for damages that may have otherwise been recovered had it not been for the attorney’s negligence and harm from the broken trust in the attorney-client relationship. Negligent errors are most commonly associated with legal malpractice. This occurs if an attorney commits an error that would be avoided by a competent attorney exercising a reasonable standard of care. In the context of civil litigation in Florida, errors such as incompetent legal advice, unreasonable delay as far as meeting court deadlines or overlooking the statute of limitations may cause significant financial harm to the client and put the offending attorney at jeopardy for a legal malpractice lawsuit. Another common reason behind legal malpractice claims is exercising negligence in the professional relationship. A breach in the attorney-client privilege involving rules of confidentiality designed to encourage clients to speak freely with their attorneys can result in negligence claims that are not based on the actual services provided. Improper communication or failure to provide a client with information on the risks and realities of making a claim may also lead to malpractice suits. The final area of legal malpractice involves fee disputes. These disputes occur if an unethical attorney acts in his or her own interests instead of the client’s and charges an excessive or illegal fee. If you suspect this has happened, you have the right to report the matter to The Florida Bar. Any fee disagreement may usually be handled in a separate lawsuit, unless your fee contract provides for arbitration. The Florida Bar Rules of Professional Conduct provides ethical rules. When attorney negligence occurs, it is importantto contact a State Bar-certified attorney that is well-versed in the rules professional conduct to protect your rights. Attorneys at Swope, Rodante P.A. have built up a strong track record of providing our clients with high quality legal representation and we have been called upon to give seminars on ethical conduct. 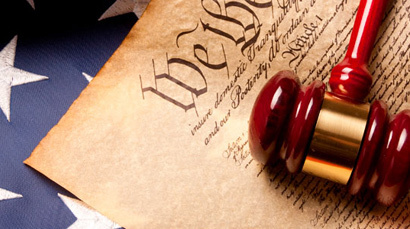 If you are concerned that your attorney has committed legal malpractice, please contact us. A victim of an attorney’s negligence, may seek financial compensation through a civil lawsuit against the attorney. A client may also pursue criminal prosecution if the attorney is guilty of fraud or theft. In order for a legal malpractice claim to rise to a cause of action for negligence, the injured party must prove that the attorney’s acts were not merely the result of poor strategy, but that they were the result of errors that no reasonable attorney would make. Proof of damage that would not have happened if the attorney had not been negligent is also required. If seeking damages, it’s critical to be aware of the statute of limitations. According to Florida Statute § 95.11(4)(a), the SOL is within two years, “provided that the period of limitations shall run from the time the cause of action is discovered or should have been discovered with the exercise of due diligence.” For more information on filing a legal malpractice claim, please contact us. As advocates of justice, Swope, Rodante P.A. is dedicated to fighting for the underdog, protecting our client’s rights, and recovering compensation for clients to help rebuild their lives. Founded in 1979, Swope, Rodante P.A. has grown to meet the unique needs of our clients and the challenges of today’s legal environment. The firm’s attorneys focus is complex litigation, insurance bad faith and catastrophic injury cases which include brain and spinal cord injuries. With a Tampa office located in the historic Florida Brewery building, Swope, Rodante P.A. handles complex litigation across the Southeast and Nationwide. Disclaimer | Copyright 2019 | Swope, Rodante P.A. The hiring of a lawyer is an important decision that should not be based solely upon advertisements. Prospective client may not obtain the same or similar results as those described herein.